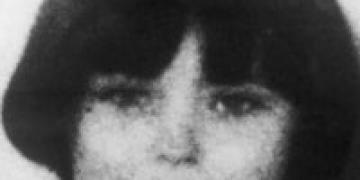 Mary Bell was only 11-years-old when she killed 4-year-old Martin Brown and 3-year-old Brian Howe. Mary Flora Bell is born in May 1957 in an impoverished slum area in the West End of Newcastle called Scotswood. It is a close-knit, working class community, with local children frequently playing out in the derelict streets, often for hours without parental supervision. Mary’s home life is a nightmare of extreme abuse and deprivation. Mary’s mother Betty McCrickett is a mentally unstable alcoholic, who works as prostitute and is often absent from the family home and her young daughter. In book about Mary called “Cries Unheard: the Story of Mary Bell”, author Gitta Sereny talks about how as a child, Betty would force her daughter to take part in prostitution. Other family members would tell Sereny that in the early years of her life, Betty would try to kill Mary, trying to make it look like an accident. There are suspicions that Betty suffered from the psychiatric disease, Munchausen’s syndrome by proxy, where caregivers fabricate health problems of those in their care, in this case, her young daughter, Mary. What can possibly motivate kids to commit criminal acts and even murder? There are questions as to the true identity of Mary’s father. Marrying Betty after Mary was born; Billy Bell is a lifelong criminal who Mary thought may have been her father. Police would later tell of being chased off by a violent Billy who threatens to set the dog on them when they call to interview Mary. Her awful home life seems to shape Mary’s personality and children at the Delaval Road Junior School bear the brunt of Mary’s unpredictable and violent behaviour; she attempts to strangle young children, stubbing out a cigarette on the cheek of a young girl. Mary is a pretty little girl, with dark hair and piercing blue eyes. Her schoolteachers would comment how bright she is but express concerns about her lack of feeling for other people. Although Mary’s violent behaviour is noticed by those around her, nothing is done and she carries on unchecked, with terrible consequences. She tries to strangle a little girl and suffocate her by filling her mouth with sand, while her friend Norma Bell (no relation) holds her down. Although Norma is a couple of years older than Mary she has learning difficulties and is easily led by the younger girl. Mary’s terrified victim manages to get away and the incident is reported to the police, but no action is taken.